I graduated from the City College of New York in 1970. From my home in the Bronx, I would walk a mile to take a bus to the subway that went to upper Manhattan and the campus in Harlem. The district encompasses the area of Manhattan Island north of Central Park between the Hudson River on the west and the Harlem River on the east. I moved out of New York City the day after I graduated. Originally a Dutch settlement dating to 1658 and named after Haarlem in the old country, the area has an interesting cultural history. It became a major destination on the northern migration of African-Americans who sought opportunity and respite from all that fine Southern hospitality inflicted on them after the Civil War. In the early 20th century, the Harlem Renaissance brought glowing attention to the area as writers, artists and musicians made their mark on American culture. On the corner of Adam Clayton Powell Boulevard (formerly Seventh Avenue) and 125th Street is the Adam Clayton Powell State Office Building. 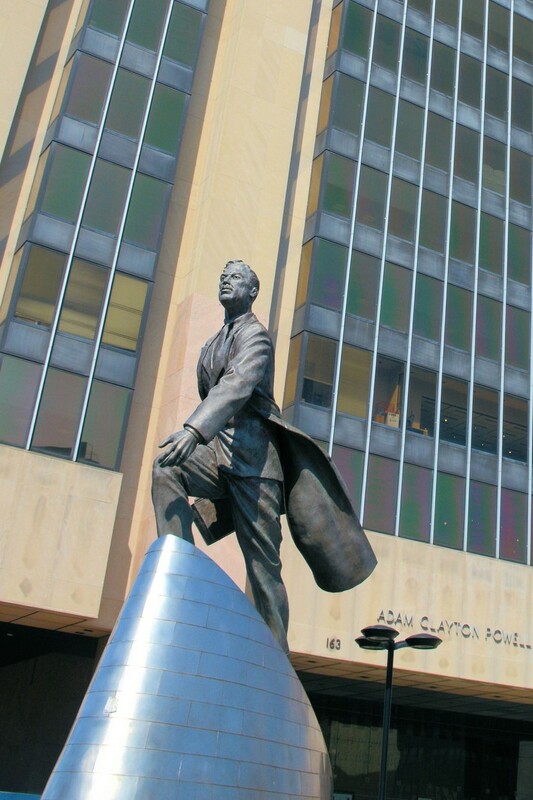 In front of the office tower is a statue of the man. The representation of Powell reminds me of the heroic poses seen in Communist country statues…all striving and defiant…upright in the face of adversity. The first African-American elected to Congress from the State of New York, Powell served for over 25 years and rose to powerful positions in the Democratic Party and the civil rights movement. Unfortunately, he also was a rule-breaker and a bit too controversial. He was ultimately censured, stripped of his leadership roles and defeated in the primary by Charlie Rangel, who has represented Harlem in the House since 1971. My guess is that more white people have heard about the Apollo Theater than most any other Harlem landmark. Originally an early 20th century burlesque house, it made its name later as a center for black entertainment. 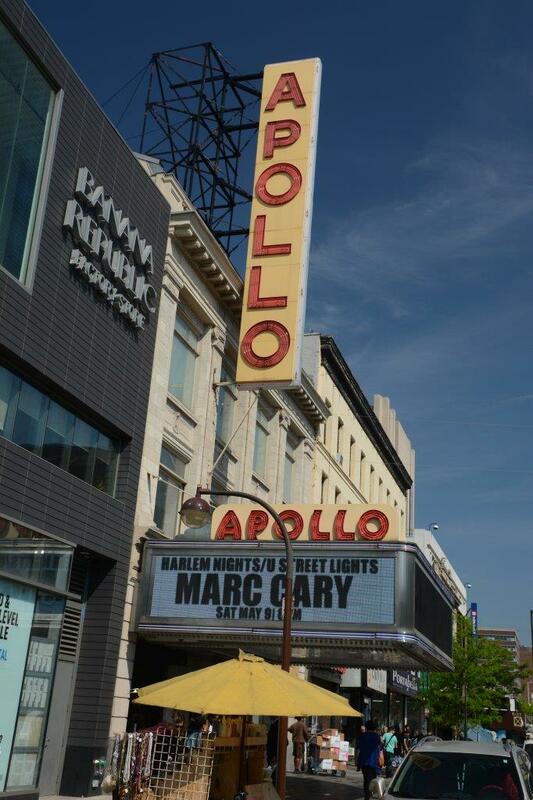 Anyone who was anyone played the Apollo. Two years ago, the media noted the 50th anniversary of the assassination of Malcolm X. That reminded me of a little day trip I took in 2007. Among the friends in the local gym are a tight group of retired African-American guys. They socialize away from the gym with bi-monthly card games and the occasional field trip. 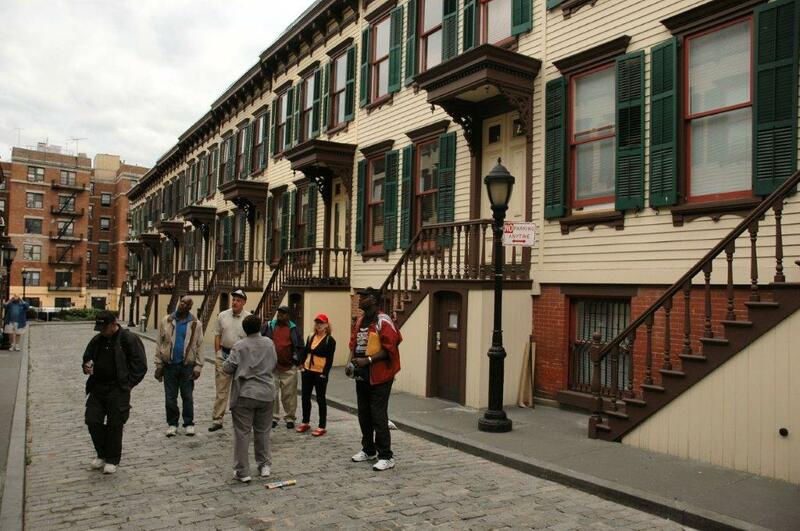 In June of that year, they arranged for a tour of some Harlem landmarks. I was honored to be invited along. Amani organized this particular field trip. An All-State high school basketball player in North Carolina who was denied admission to his state’s great college programs because of his race, he became active in the civil rights movement. Not one to say much about those times in our nation’s checkered history, he gave me the impression that he was involved in some serious business in the Deep South, where Negros who didn’t ‘know their place’ could turn up dead. It was a long day, with 3+-hour bus rides to and from New York, but the time there was most informative and entertaining. Below are some of the interesting places we visited that day. This is Sylvan Terrace. It was originally the carriage path to the Morris-Jumel Mansion. Built in 1765, the mansion is the oldest home in Manhattan. The estate once stretched from the Harlem River on the east to the Hudson on the west. At the end of the 19th century, these houses were built for middle class residents. They are among the last wood frame houses in Manhattan. 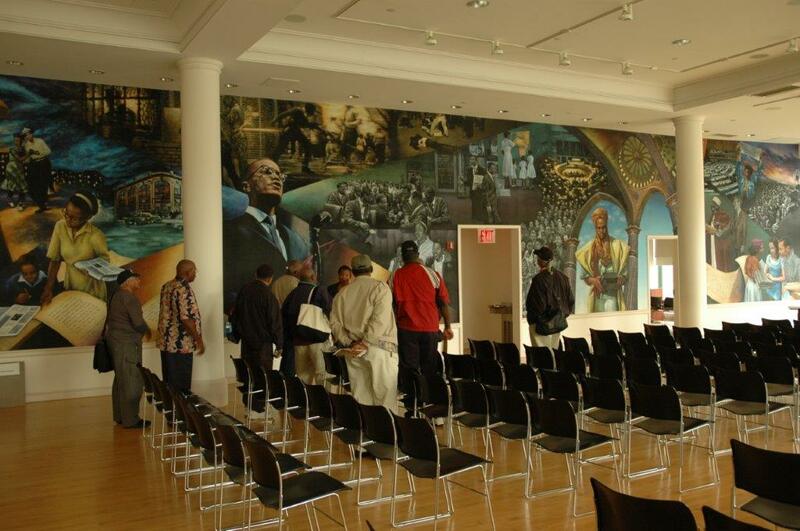 A highlight of the day for me was getting inside the famous Audubon Ballroom where Malcolm X (I guess he would prefer his Muslim name - el-Hajj Malik el-Shabazz) was assassinated in 1965. Columbia University acquired the building after years of disuse and neglect. Protracted negotiations with the city and preservationists resulted in a portion of the site becoming a cultural center and museum. It felt like we were able to visit before the new facility was fully operational and were shown around by Malcolm’s daughter. To be in the place where this key historical figure was killed, hearing the stories through the lens of his daughter, was both humbling and inspiring. Sure, I lived in New York City for the first 23 years of my life. 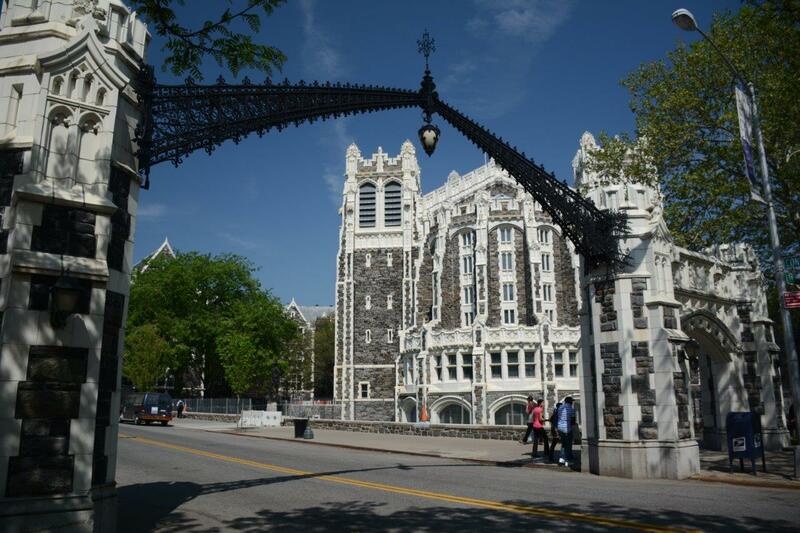 I even went to college in Harlem…but I returned to the Bronx every day. I didn’t learn about or see as many of the attractions as I did after I moved away. 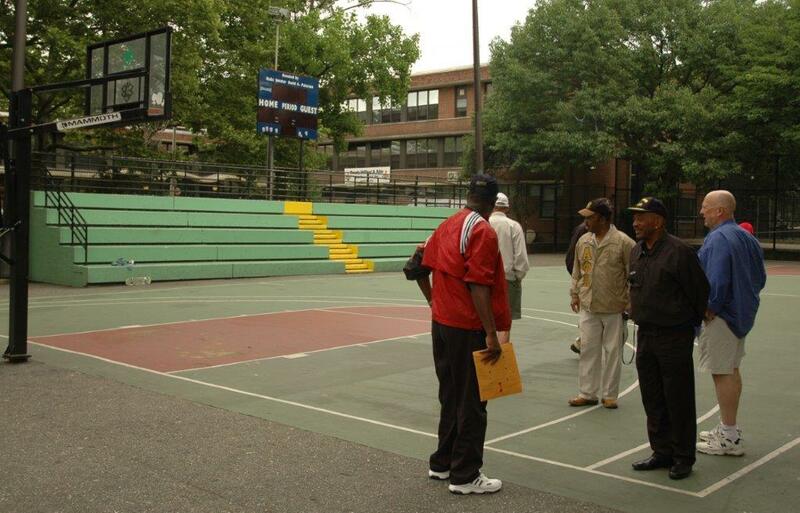 I heard about Rucker Park long before I actually saw it. 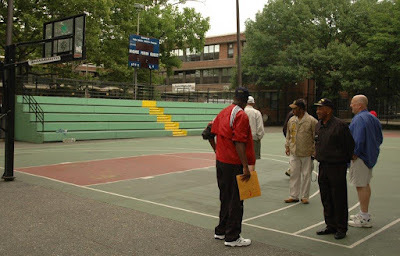 The Mecca of playground basketball, Kareem, Wilt and Doctor ‘J’ played there before the rest of the country knew who they were. I can say with certainty that my formal education included hardly any reference to our African-American citizens. I have to remind myself that my elementary school years came BEFORE the Civil Rights Movement really took hold. Jim Crow still ruled the South and there were no black kids in my Bronx school. So, the ever-so WASP-y New York City version of American history was whitewashed, to say the least. The Dutch came here first…finagled Manhattan island from the Native Americans for a box of beads…lost the colony to the English. There was our glorious Revolution for independence…fast-forward to the Civil War (the slaves had something to do with that). Let’s see…then there was Reconstruction, Frederick Douglass, the Industrial Revolution, Carnegie, Vanderbilt, Rockefeller, Ford, a few wars. Oh, alright…we’ll throw in Booker T. Washington, Joe Louis and Jackie Robinson. Feel better now? Would it have hurt to include a mention of the Tuskegee Airmen or Nat Turner or Duke Ellington just to show us that some different people actually did contribute to this great country? Merry Black History Month to all and to all a good night. Some memories. 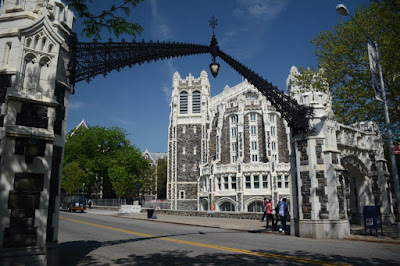 When we went to the Climate March in NYC the bus went down Amsterdam Ave through the CCNY campus. Everyone wondered what the crazy guy jumping back and forth in the bus was doing. Thanks, Bev...even though we hardly ever disagree. Good to see fellow alum, Bill join in. The campus looks good now...even if all the open space where we played intramural and pick-up football has been replaced with new buildings. Thanks for your comments.